Love to golf? Come golf with us in June! Home → Library Alerts → Love to golf? Come golf with us in June! Save the date! 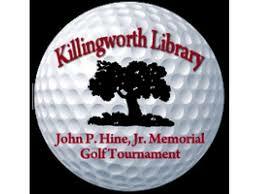 The 14th Annual John P. Hine Jr. Golf Tournament will be held on Tuesday, June 25 at the Portland Golf Course in Portland, CT.
Local golfers love this course! It’s challenging, yet forgiving with wide fairways and beautiful greens. Barbecue stop at the 10th/18 holes with full course meal after golf. Raffle, Prizes and Competitive Fun!